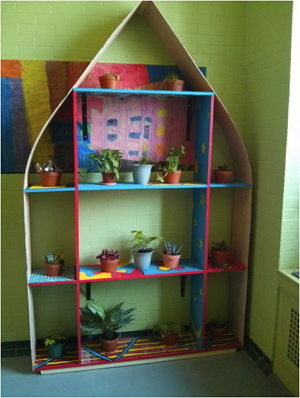 The Living Walls in Classrooms Project engaged children in Rose Avenue elementary school to teach them about plants and biodiversity, and gave them an opportunity to build a living 'green' wall in their classroom. 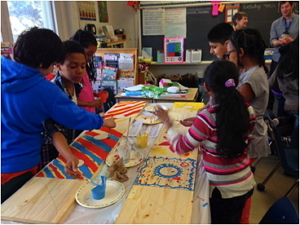 Our pilot project concluded in June 2014 at the Rose Avenue Junior Public School in Toronto. Provide in-class, hands-on sessions teaching students how to plant and build their own living wall. Provide a workshop on the connections between air pollution, biodiversity and sustainability. Help students gain project management skills during the building and maintenance of their living wall. Continuous in-class monitoring to make sure that the living walls are thriving and healthy. Evaluation of the project completed by participating students and teachers. Development of a final report that will outline a framework for future project expansion, including strategies to implement this project in other classrooms across Canada. If you would like to get involved or learn more about this project, please contact us.